There’s something magical about Florence, Italy. People have know that for centuries, but even so, being there it’s impossible not to marvel at the beauty, history, and – well – magic of Florence. This photo, which looks a lot like some of the water-color paintings in the Uffizi Gallery, was taken with an iPhone from the balcony of my room at the Plaza Hotel Lucchesi. That’s the Arno river in the foreground. It had been raining and this photo was taken just as the rain stopped. I’m not saying I’m a great photographer. I’m just saying that in Florence you can just about turn in any direction at any time, take a photo, and you’ll have something you want to keep. 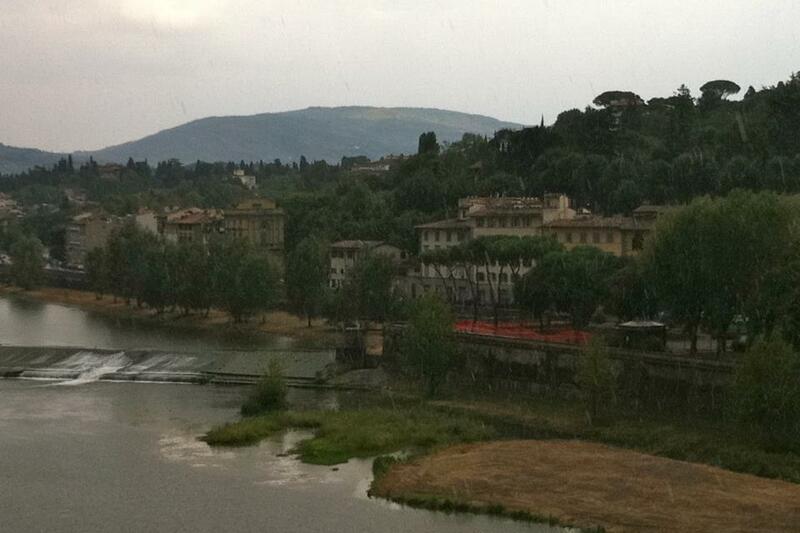 I was in Florence because we were hosting the Marathon di Tuscany. You can go to the Facebook page to see all the photos. It was an amazing trip with about 70 of our closest friends. It wasn’t an easy week of running and walking. But, I think everyone went home weary but happy. This was not my first trip to Florence. The first time I walked the streets of Florence was over 20 years ago during a very tumultuous time in my life. I think I was so absorbed in the chaos of my own life that I couldn’t see beyond myself to the beauty of Florence. The next time I was there, in 1996, was less chaotic but I still wasn’t open to all the Florence was, and is. In subsequent visits I ran the Florence Marathon a couple of times, got to know some of the local Italian runners, and began to get sense that there was a Florence beyond the art and museums. Seeing Florence, and more broadly, Tuscany, was like being there for the very first time. I walked streets I had never walked, visited places I had never visited, and experienced the magic of Florence in a whole new way. 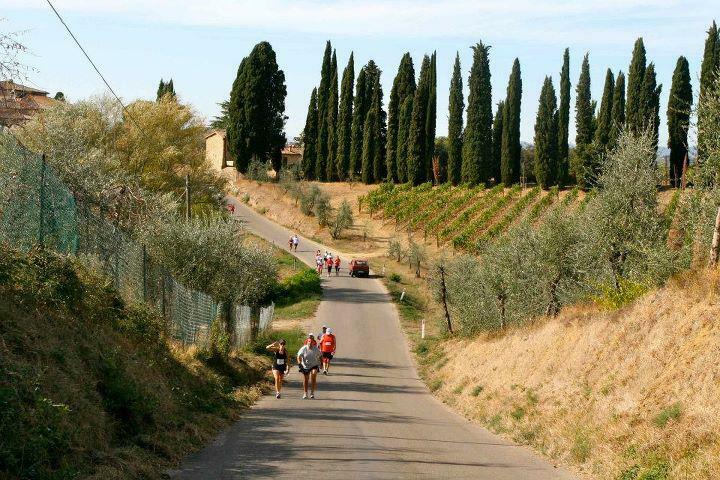 In part that was by seeing the area through the eyes of the participants in the Marathon di Tuscany. Knowing that they were literally discovering Tuscany with there own two feet made it all the more interesting to me. I was able to see past the history and even the beauty of Tuscany to what is, to me, more important. I was able to see into the eyes and lives of the people there. 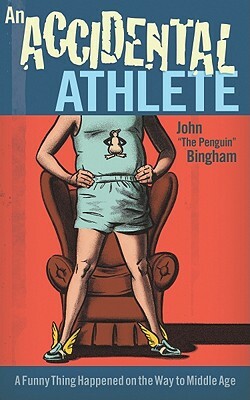 I was able to connect with the staff at the hotel, the bus drivers, the servers at the restaurant, the race organizers and local runners. I wasn’t separated from them by culture or geography or politics. I was united with them by common goals and shared values. What we couldn’t understand because of our language barrier was easily overcome by our desire to communicate. In the end I left Florence this time with more than I had come with. I had found what I had been looking for all those other times. I had found a part of myself that felt like it was home.